Toddler shoots and kills mother at Walmart with gun from purse. 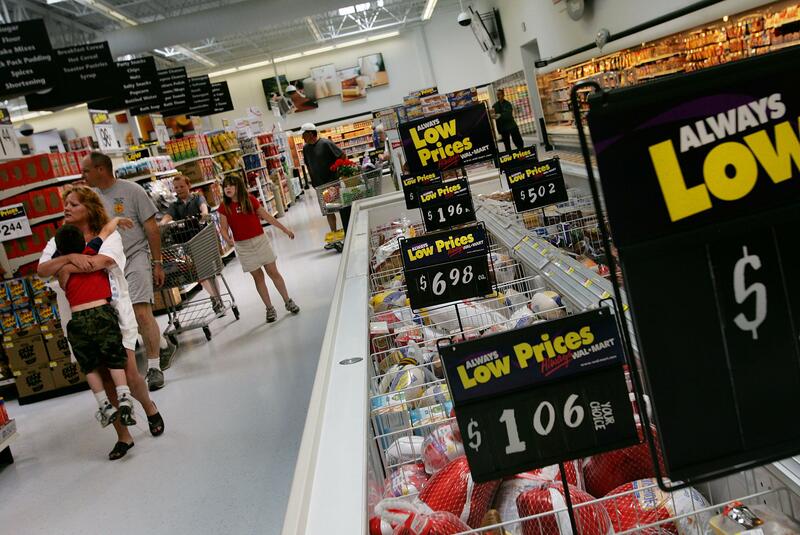 Shoppers wind their way through the aisles of a Walmart in Texas. Tragedy struck an Idaho Walmart on Tuesday, when a woman was accidentally shot and killed by her two-year-old son while shopping at the store. Veronica Jean Rutledge, a 29-year-old mother, was shopping with her toddler son and three other young family members all under the age of 11. Rutledge’s young son was sitting in a shopping cart within arm’s reach of his mother’s purse as she perused the aisles. The purse was a Christmas present from her husband with a pocket specially designed to hold a handgun, according to the Washington Post. Inside the zippered pocket of the purse was a handgun. The details are shatteringly ordinary… A frosty morning in the northern Idaho panhandle, the temperature in the teens. Holiday break. The clothing aisles near electronics, back of the store. Then, shortly before 10:20 a.m. on Tuesday, as the store video cameras recorded the scene, the little boy found a gun in his mother’s purse and it discharged once at near point-blank range from where she stood, less than arm’s length away, said Lt. Stu Miller, a spokesman for the Kootenai County sheriff’s office. She died at the scene, he said, her death appearing to be accidental. “He probably still doesn’t even know what has happened,” Lieutenant Miller said of the boy who shot his mother.